Ford showcased their premium class sedan, Fusion, at the 2012 Detroit Show. And this is going to be the new Mondeo for Indian market. 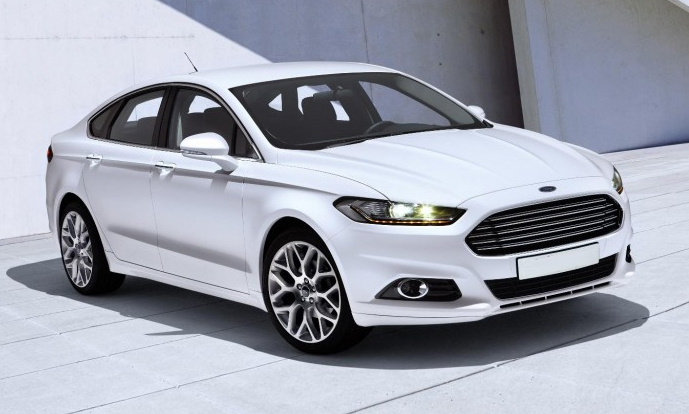 As a part of One Ford global vehicle program, the new Mondeo will share 80 per cent features from the Fusion, which will be on sale for the American market, while the Mondeo heads to India. Ford has a launch plan for India, and the new sedan will go on sale by late 2013. We are also waiting for the Paris auto show, later this year, where the entire Mondeo family will be showcased, including the hatch and estate version. 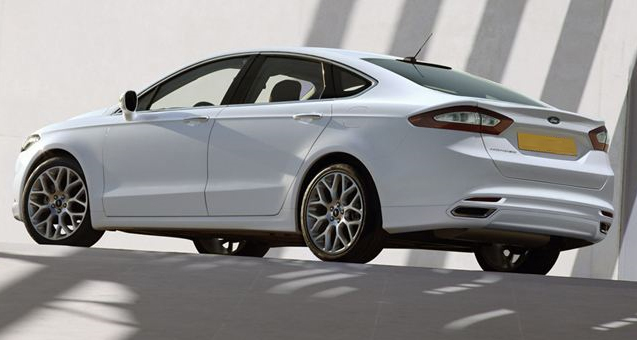 When it was unveiled at the Detroit show, the Mondeo appeared a stunner. With the grille resembling the Aston Martin family, and the headlamps similar to the Jaguars, and why not, both of them are ex-Ford brands. There is also a glimpse of the Audi’s A7 towards the rear, and the curvature towards the front gives a flash of the Evo concept. All features reasoning the car for a bigger space. The new gen Mondeo is 13mm longer and 26mm higher than the current car, with plenty of room at the rear, and plenty more at cargo. What Ford did was, it took the grille and fascia structure from Aston Martin, the rear tail lamps from the serious Audi, and gave the muscle of the Ford; and they totally nailed it! The Fusion will go on sale in US market later this year. Power options available for the sedan are the Range Rover Evoque’s 179PS 1.6- litre and a 237PS 2.0-litre EcoBoost turbocharged engines. In addition, the sedan will also be given two more power source options. While the base Fusion will be sporting a 170PS 2.5-litre inline-four motor, the plug-in hybrid version will get a 2-litre Atkinson cycle petrol engine. The transmission is the same for all, a six-speed automatic, but the 1.6 litre will also have an option of six-speed manual in the US. 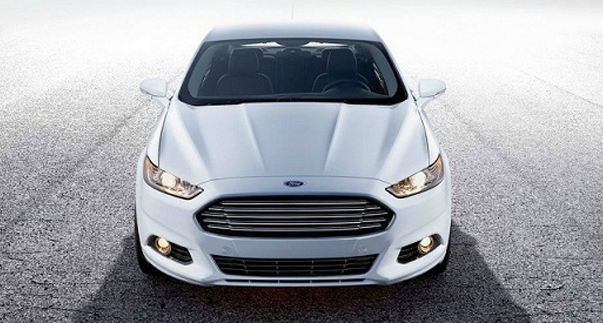 The US market will also have an option of all-wheel drive with the 2.0 litre Fusion. The new designs adopts the Mazda6-based platform, keeping in mind the US market. While the front suspension is still the MacPherson struts, the rear will get an all-new multi-link setup. On the interior, Ford has given LED lights, leather seats and an aviation-inspired instrument cluster. Also standard is the digital ‘command center’, which is the human-machine interface, operated by two-steering mounted toggle switches. Ford has paid attention to the more add more convenience to the driver. The new technology based on sensors, cameras and radar, enable the car to see and respond. Fusion will also offer adaptive cruise control with forward proximity alert, lane departure warning, automatic headlamps and start-stop system activated by pressure on brake pedal. The fully loaded Ford muscle will be launched towards the end of 2013, and will go up against Honda Accord and Toyota Camry. We are not certain of the price figures yet, but being an American car, it is expected to be more expensive than the Japs.